Cochin, Munnar, Thekkady, Alleppey – This 6 days tour of the best Kerala includes the stunning hills of Munnar and wildlife encounters of Periyar wildlife sanctuary. 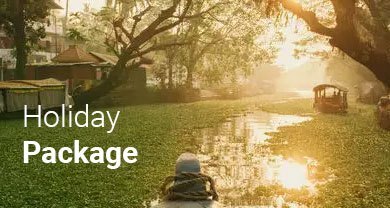 Also included in the tour is a houseboat cruise over the backwaters of Alleppey enjoying the beautiful villages, paddy fields, small churches, temples and day-to-day life of village people. While in Kumarakom you will enjoy the backwater and bird sanctuary. After enjoying the breakfast checkout from the hotel and proceed to Munnar. Munnar is a land of Misty Mountains and spectacular tea plantations. The best hill station of Kerala. Watch the spectacular beauty of Tea Gardens; enjoy the nature, where the cloud turns into mist, which may touch you with a romantic feeling. Sprawling tea plantations, picture book towns, winding lanes and holiday facilities make this is a popular and most wanted tourist place of Kerala.